fussed with Blunk, Swink fussed with Swunk, and Jink fussed with Junk. 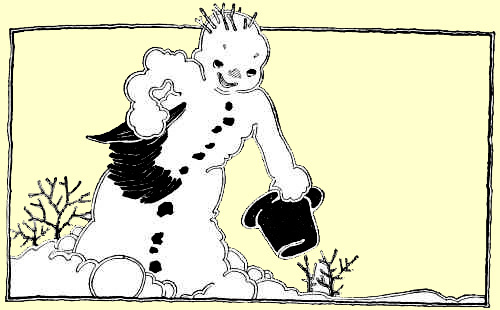 that is, no hats big enough for a snow man with a big head like Snoo Foo. So they went in the house and asked their mother for the hat ashes shovel. shovel fell out. “Oh lah de dah, get out of here in a hurry,” said Missus Sniggers. each other’s eyes and laughing. If you ever get into a fuss try this way of settling it.